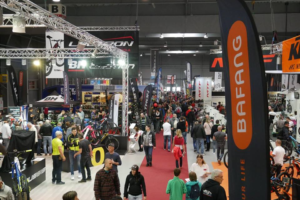 An indistinct communication on exhibiting and visiting the China Int’l Bicycle & Motor Fair (better known as China Cycle or Shanghai Show) caused a small drop in overseas visitors from the US and Europe last year. 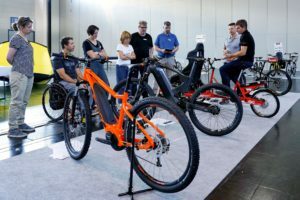 For this year’s event everything has been lined-up properly while the side program of the show features a Forum on the latest in electric bikes. 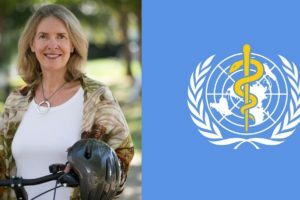 SHANGHAI, China – An indistinct communication on exhibiting and visiting the China Int’l Bicycle & Motor Fair (better known as China Cycle or Shanghai Show) caused a small drop in overseas visitors from the US and Europe last year. 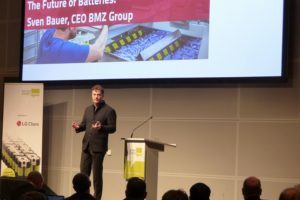 For this year’s event everything has been lined-up properly while the side program of the show features a Forum on the latest in electric bikes. 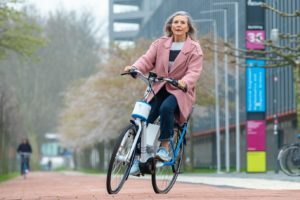 The 22nd China Int’l Bicycle & Motor Fair 2012 is in particular about e-bikes and e-scooters; their exhibitors as well as lots of e-bike component suppliers. 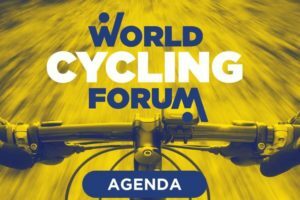 The 2012 China Cycle Forum will bring insiders views on: ‘The opportunities and challenges in China for the Western bicycle and e-bike industry.’ In guest speeches and discussion panels this topic is outlined. The guest speeches are by Rob Lankin (ASI), Ed Benjamin (LEVA) and Jack Oortwijn (Bike Europe). 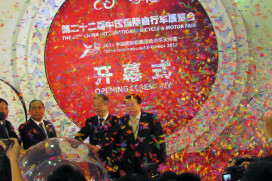 The 22nd China Int’l Bicycle & Motor Fair 2012 takes place in the Shanghai New International Expo Centre from April 26 – 29. The 2012 China Cycle Forum is held on the second show day – April 27 from 10:00 – 12:00 and from 14:00 – 16:00.